Jack O'Connor is edging closer to his third term in charge of Kerry footballers, with the county board aiming to have Eamonn Fitzmaurice's successor in place by October 8. A four-person selection committee, headed by current chairman Tim Murphy, was approved at a meeting last night and reports from the Kingdom indicate that O'Connor is in pole position to return to the helm. 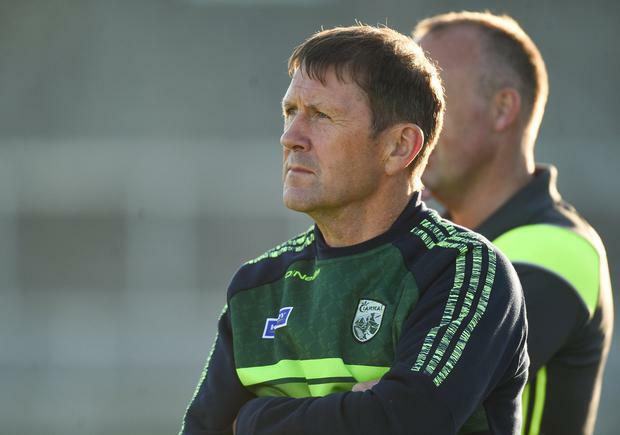 Secretary Peter Twiss, development officer Eamonn Whelan and coaching officer Terence Houlihan will join Murphy in the search for a replacement for Fitzmaurice who stepped down in the immediate aftermath of Kerry's exit from the championship last Saturday week. Murphy outlined that clubs will be invited to put the names of potential candidates for the manager's job and potential backroom members to the board over the next two weeks. It's an interesting development, giving the selection committee a sense of who the clubs would prefer and also giving an insight into the initial thinking that a management team as much as a manager may be the way forward. Kerry should not be short of replacements for Fitzmaurice with All-Ireland winners at different levels all on any shortlist. O'Connor would be a logical choice on many fronts, having served in the position twice before, winning All-Ireland senior titles each time (2004 and 2006 followed by 2009 in his second stint). The Dromid Pearses clubman has since gone on to steer Kerry to the first of their two All-Ireland minor titles (2014 and 2015) in the current cycle and has been U-20/21 manager for the last three years but All-Ireland success has evaded them on his watch which will leave some in the Kingdom with misgivings about a third term. If David Clifford and Seán O'Shea, tied to the senior team this year, were available to him there's little doubt however that they'd have been U-20 champions this year, having lost to eventual winners Kildare by a point in their semi-final. Coming back for a third stint would be an obvious gamble for O'Connor (above) but in the past he hasn't overstayed his welcome, getting out after three and four years respectively, and that could potentially be a lead in for Peter Keane's inevitable graduation. Keane has taken the Kerry minors (U-17 this year) to a third successive All-Ireland final and in the last two years especially, the performances of the team have been most impressive. Keane would have a strong identity with most of the Kerry players of the future but may see the U-20 position as the next step towards to the top job. Pat O'Shea is another All-Ireland winner in the past who will attract big interest, having won with Kerry in 2007 and Dr Crokes at club level last year. O'Shea's work with Munster GAA as a games manager may preclude him, however, but he's innovative, has experience at this level and could pull together a strong backroom team. If Kerry decide to follow the 'Fitzmaurice' model and appoint an ex-player of recent vintage, Diarmuid Murphy is then the most probable candidate, if he is interested. Murphy has emerged as the bookies' favourite and has served as a selector with O'Connor and Fitzmaurice, while Maurice Fitzgerald has been with Fitzmaurice for the last two seasons. Meanwhile, Fintan O'Connor has been approved to manage the Kerry hurlers for three more years, the Kildare native having been in charge for the last two campaigns.